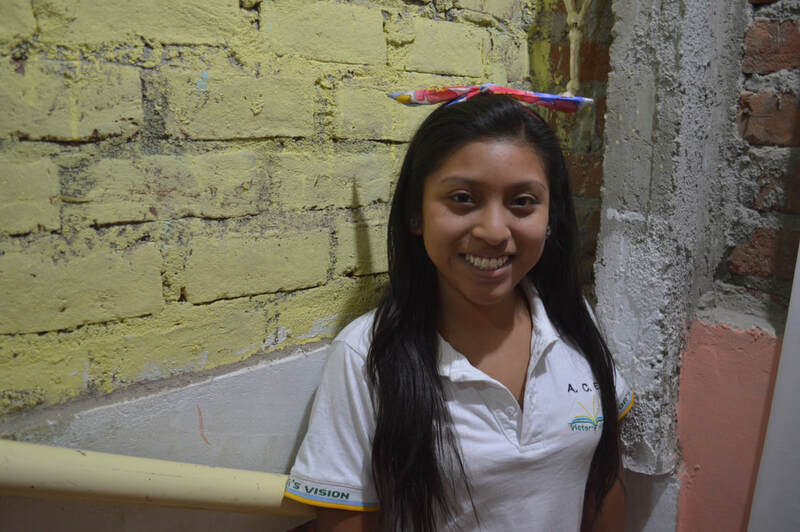 Mariana joined Victor's Vision in 2013, when she was just 9-years-old. Her little sister, Ruth, is also in the program. Mariana lives with her father and mother and Ruth. Her father does odd jobs and construction, and her mother cares for the home. In her free time Mariana likes to pass a ball around with her friends. "For my future, I am choosing between being a veterinarian or a doctor. They are similar and I like biology, it's difficult to choose. I come to Victor's Vision because they give me the opportunity to be here, and they teach me good things like how to be a good person and a good professional. I like the way the professors teach us here and the way they treat us. Victor's Vision is a huge help and I'm grateful to be chose for the opportunity to participate. I hope that Victor's Vision can empower everyone to achieve the opportunities that are in front of them."